The biggest difference between cutting annealed glass and laminated glass is the way the score is broken. Annealed glass is relatively simple; if the scoring procedure was completed properly, you just initiate the break on one of the edges and the break propagates and separates from the main stock. 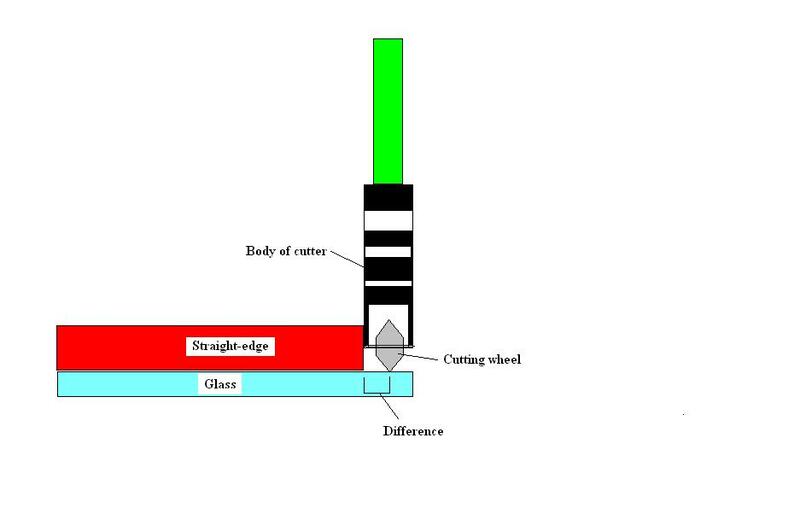 However, breaking the score on laminated glass takes a little more creativity because the opposite sheet of glass is causing resistance. There are a couple ways of running the score; pressure break, tweak break, table break, tap break and pliers break. Each type of break is determined by how far away from the edge the score is. A pressure break is one that is accomplished by turning the glass over so the score is facing the table top. Starting at one edge of the glass, place your thumbs on either side of the score and apply pressure until the break begins. Then continue to apply pressure along the score until the break progresses the entire length of the glass piece. 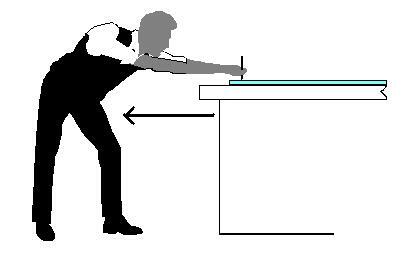 This type of break procedure is recommended when the score is more than 12 inches from the glass edge. The tweak break is using your hands to tweak the glass at the score line causing it to begin the break. hen, use the finger tips to propagate the break along the score line. Place the index finger directly under and on the opposite side of the score. 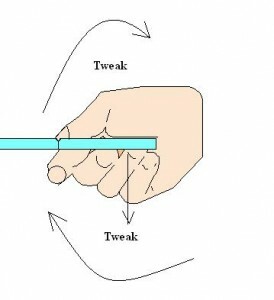 Place the fleshy part of the lower thumb on the glass edge and tweak the glass to begin the break. 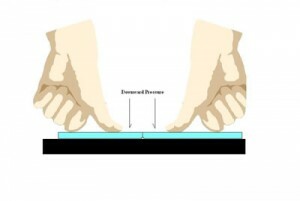 This type of break procedure is recommended when the score is more than 4 inches and less than 6 inches from the glass edge. Once the break is begun on the edge, use the finger tips to propagate the break along the score. 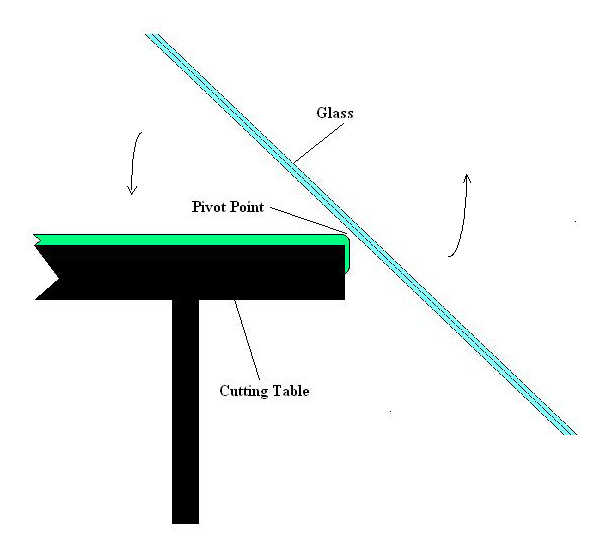 The table edge break is accomplished when the score is placed directly over the table’s edge facing up and the glass is dropped about an inch in height off the table’s surface. There must be enough weight on the protruding glass to cause the break to occur. This is recommended only when there is at least 12 to 18 inches protruding from the glass edge to the score. The tap break is used when the score is close to the glass edge or if the score is difficult to start. It is accomplished with the use of drop jaw pliers or glass pliers. These are special pliers that have square, smooth jaws for running breaks without chipping the glass. 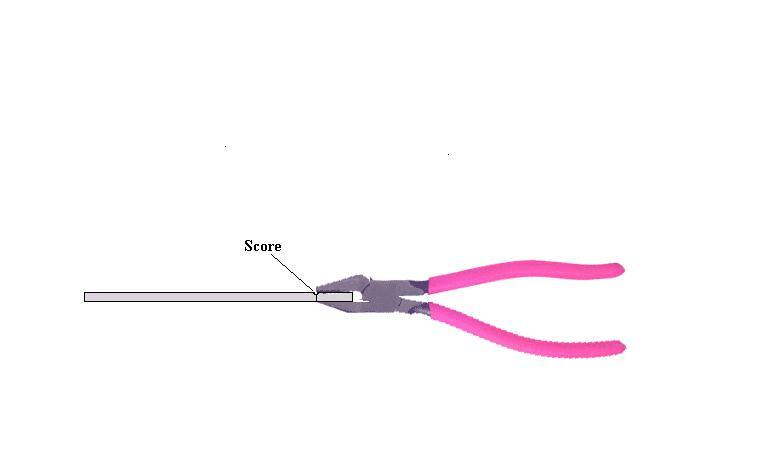 The drop jaw of the pliers is tapped on the underside of the score causing the break to travel the length of the score. This type of break does cause a scalloping effect on the glass edge and may be unacceptable to the customer unless extensive edge finishing is used. The pliers break is one that is used when the score is less than 1-1/2 inches from the glass edge. Place the edge of the jaws directly on the score and squeeze with a slight downward pressure. Don’t forget to watch the break from a slight angled sightline. Turn the glass over and repeat the process on the other side. This type of break can also cause scalloping and takes a little practice and touch with the pliers. Now that both glass pieces are cut, the next step is to separate the lamination without damage to the glass edge. As you will notice, the glass cut from the stock piece is now somewhat floppy which will allow for the easy separation of the PVB. There are two basic methods to separate the lamination, melting it and cutting it. When it comes to melting, there is a safe way to do it and a relatively dangerous way. For years, many glaziers used denatured alcohol to melt the polyvinyl butyral (PVB) between the two layers of glass. They would apply the alcohol along the break and light it to melt the PVB. However, this has proven to be a very dangerous method of separation. Denatured alcohol burns very pure and in the right light is almost invisible. If the cutter drizzles more alcohol on the glass the fluid will ignite, potentially cause the container to explode resulting in very serious injury. I do not recommend igniting denatured alcohol for the purposes of lamination separation, nor do I recommend its use at all. The safer way to melt the PVB is by the use of a heat gun. A heat gun produces heat without an open flame. Some heat guns have an attachment that can concentrate the heated air to a specific point, which aids in a more effective separation. 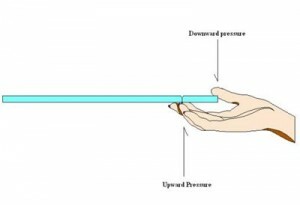 To effectively use a heat gun, slightly bend the loose piece of glass in a downward angle and apply the heat evenly along the entire length of the break. Move the glass up and down until the lamination separates. The preferred method of lamination separation is cutting. Cutting the PVB can be accomplished with the use of a single-edged razor blade or the use of a length of tape measure blade. The razor blade is the most common method but the tape measure blade has gained popularity. The razor blade is thicker than a tape measure blade and requires the bending of the lamination to the point of possibly chipping the stock piece edge. The tape measure blade is more flexible and can be used around radius corners with the minimum separation of the two pieces of glass. The tape measure blade is also self sharpening. If a new edge is desired, simply double over the blade and it snaps off. To use the razor blade or tape measure blade effectively, bend the waste piece slightly until the tip of the blade reaches the lamination layer. Then use several strokes to “score” and then cut the PVB. 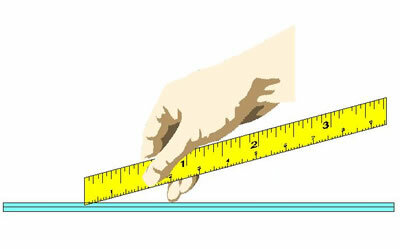 If a tape measure blade is used, place your thumb into the curvature of the blade when cutting the PVB. This provides stability and comfort during the cut. Once the lamination is cut sufficiently bend the waste piece away from the stock piece and remove. Next week I will discuss radius corners. Last week we talked about the equipment necessary to successfully fabricate glass parts, the proper handling of the glass to the cutting table, the different thicknesses of glass and where they may be used. This week we want to address the actual preparation of the glass and use of the equipment in set up. Once you have the glass positioned on the cutting table and the pattern placed beneath it, the next step is to prepare the glass for the score and break. Line up the glass so the bug etched in the glass will be visible on the finished part. If this is a leftover piece of glass or if the monogram will be cut off, partially or completely, by the fabrication, the cutter must re-etch or emblazon on the glass the labeling required by FMVSS 205/ANSI Z26.1. This must include the DOT# and the AS grading of the glass cut. The only exception is if it will not be used in a vehicle for the roadway. Next, line up the straight edge to the pattern and clamp it to the glass on the table. Don’t forget to allow for the thickness of the glass cutter at the wheel. The body of the cutter can change the actual size by as much as 1/8 of an inch on each side, which can make a significant difference in the installation of the part. Now apply a coating of lightweight oil to the surface to be scored. I use an old peanut can with a sponge cut to fit the base. Then I soak the sponge three-in-one oil or leftover motor oil. I store my cutters and I have a cotton dauber resting in the can. When I am ready to apply oil to the score line, I use the dauber to apply a coat of oil directly over the score line. Then I grab a soaking glass cutter and make my score. The oil “cools” the score and lubricates the wheel of the cutter to make a smooth and accurate score. Make your first score and then break that score immediately. The longer you wait between the score and the break the more possibly of the break running away from the score. The reason for the score is to control the break. The score creates a fissure in the glass surface and controls the direction and travel of the break. The score is very important to the success of the cut. If you score too lightly, the break has no guidance and if you score too “hot,” you can cause the glass to break erratically. With a perfect score you can hear the score and feel the drag of the tool, but it does not result in the flaking of the glass surface. The proper way to score glass takes practice and a steady hand. It is always better to move your body than to move your hands. If you stand still and move your hands you are likely to have an uneven score line. It will be light on the ends and “hot” in the middle. Once the score is commenced, do not stop and do not score over another score. Know what is around you before beginning the score and move items that will hinder movement. Use the straight edge as the guide and run the cutter along the edge of the straight edge. Once you start the score, lean back or step back to keep the score smooth and with even pressure applied to the cutter. Do not stop and start. Repeat the above procedures for all scores on the same side of the glass. Then turn the glass over and carefully line up the straight edge on the opposite side using the score and break from the other side for alignment. Make sure the opposite score is directly above the opposite cut. Next week we will discuss the different methods of breaking the score and separating the lamination. 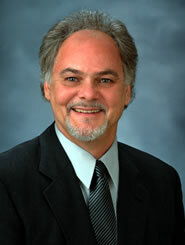 When I first ventured out with my own company, I formed a partnership with a local glazing company in my hometown. 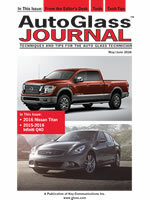 They did flat glass, storefronts and shower doors, and I was able to add auto glass to their business offerings. Early in our partnership, a tempered tractor windshield came in and I was asked to install it into the frame. I asked my partner why they had ordered this piece tempered rather than cutting it from laminated safety glass. He told me their policy had been not cut laminated glass because they never had success fabricating parts without breaking or chipping the glass. My partner was a professional glass cutter with 40 years of experience and 30 years of shop ownership. It surprised me that he would rather pay more for a part than fabricate it from laminated glass. To make matters worse, the part they had ordered was too big and had to be re-cut and tempered. Lesson learned: make sure of your pattern and measure twice, cut once. But there was another lesson here as well. If they had cut the part from laminated safety glass the part would have been much cheaper and the glass, if cut wrong, could be adjusted and installed rather than re-cut and sent out for tempering. So, let’s learn how to cut laminated safety glass. Next, you will need the glass. Laminated safety glass usually comes in two thicknesses which are determined by the thickness of the laminate, .015″ (1.5mm) sometimes referred to as “sheet” and .030″ (3mm) called “plate.” The plate glass is graded AS1 glass while the sheet glass is graded AS2. You would use the sheet for uses other than windshield applications and the plate for the windshield. 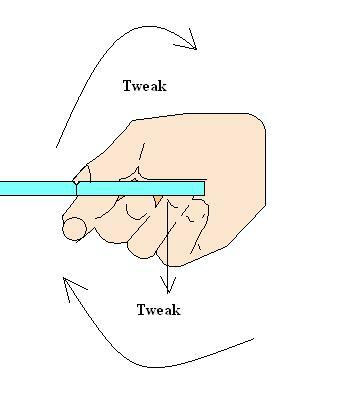 Handling the glass properly is very important for the success of fabricating a part. Before cutting the glass, make sure that it is at room temperature (65⁰F – 80⁰F). If the glass is too cold or too warm you will limit your chance of success. Most glass used for auto glass fabrication is of a smaller block size and can be handled by one man. However, if a large part is needed for off-road equipment or a tractor, a second man or a glass trolley may be needed to transport or handle the glass. Before placing the glass on the cutting table, clean the surface completely. Small chips or slivers can scratch or damage the glass even before beginning the cutting process. If you are placing a large glass sheet on a cutting table, place the back surface of the glass on the table’s edge and pivot the glass down onto the table. This assures that the glass will not prematurely fracture while it is being manipulated on the table. Once the glass is positioned on the table and cleaned, the next step is to add the pattern to map out the cutting. Next week we will look at the process of prepping the glass for fabrication so the cut will be accurate and smooth.